In the early 1970s, after managing the Oregon operations of a national home builder, Mr. Rembold acquired its assets to create a self-owned real estate development company. In 40-plus years since, Mr. Rembold has developed real estate projects within multiple companies which he now owns or controls. Mr. Rembold's development ventures are known collectively as Rembold Companies. A wide range of successfully completed projects includes single family homes, lots for sale to builders, apartment and condominium communities, self-storage facilities, retail stores, office and industrial buildings. Mr. Rembold was the developer of the 2323 office building and garage at Pier 66 in Seattle, WA, the Moss Bay office building in Kirkland, WA, the OGC Science Park (now Amber Glen), a 250,000 square feet office campus in Hillsboro, OR, and Ronler Corporate Center, an 180,000 square foot office building, leased primarily to Intel, in Hillsboro, OR. Under Mr. Rembold's direction and ownership, Rembold Companies maintains a proven track record and solid commitment to developing top quality projects in excellent locations and preserves outstanding values through expert management. Mr. Rembold was on the board of the Children’s Land Trust and has a Bachelor of Science from Washington State University. Ms. Cador has been with Rembold since 1990. Her primary responsibility is managing Rembold Properties and directing its development opportunities. She has managed the development of: market rate and income restricted multi-family projects throughout Oregon and California, senior housing projects in Portland, Oregon, Sunset Corridor flex/office project in Oregon, and retail projects throughout Oregon and Washington. Prior to joining Rembold, Ms. Cador was in front office management and sales with Marriott Hotels and Resorts in Southern California and Portland. Ms. Cador has a Bachelor of Arts in Business from Washington State University. She has served as: Board member of KairosPDX, member of multiple technical advisory groups related to multi-family housing development, Board President of Fruit and Flower Childcare Development Center, Vice President of Philanthropy for the Portland chapter of National Charity League, board member of North/InnerNE Portland YMCA, board member of Childcare Support Services NW, Forest Park Elementary PTA President and a member of the Pinnacle neighborhood design review committee. Ms. Bader joined Rembold in 2004. Her primary responsibilities are in acquisitions, financing and development management. Ms. Bader acts as the project manager for development opportunities and assists in the oversight of the company. Prior to joining Rembold, Ms. Bader worked in San Francisco as an Investment Manager for the National Office Partners Fund at Hines Interests. While at Hines, she led the reporting and analysis of the $3.0 billion office-building portfolio on a portfolio-level basis as well as the management of investments in Seattle and Houston. 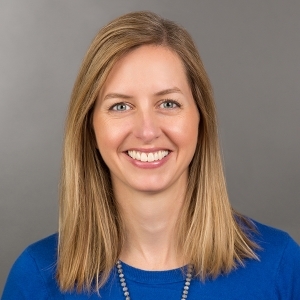 Ms. Bader previously worked with a real estate office development firm, Chamberlin Associates, based in Pleasanton, CA and worked as a manufacturing consultant for Deloitte Consulting. Ms. Bader is an adjunct Professor at Portland State University and is both a member of and the Chair of the Real Estate Advisory Board at Portland State University's Center for Real Estate. She is a member of the ULI Product Council for the Portland region and co-chair of the local Women’s Leadership Initiative. Ms. Bader was the Co-Treasurer for Ridgewood Elementary PTC and has served as a board member, Vice President of the Board and Chair of the Facilities Committee of Fruit and Flower Childcare. She has a Masters of Business Administration from the University of California at Berkeley and a Bachelor of Science in Industrial Engineering from the University of Washington.